Matt and Harriet, newly married, exit their wedding reception at the Poinsett Club in downtown Greenville. After dancing the night away at their New Year's eve wedding reception, Harriet held tightly to her Matt's arm for their exit. 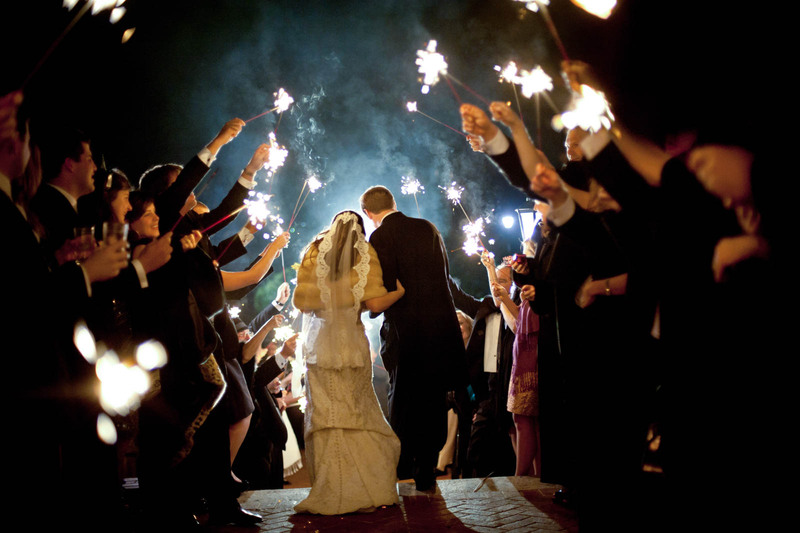 The couple navigated down the porch and through the path lined with guests holding sparklers. The bride, wearing a tiered, off-white, lace gown with lace veil was warmly wrapped in her ivory fur wrap.